I wish you that light and peace. Happy 2015. The cone is in polyester thread, 3 strands, dmc. There are more than 600 tiny miyuki beads. 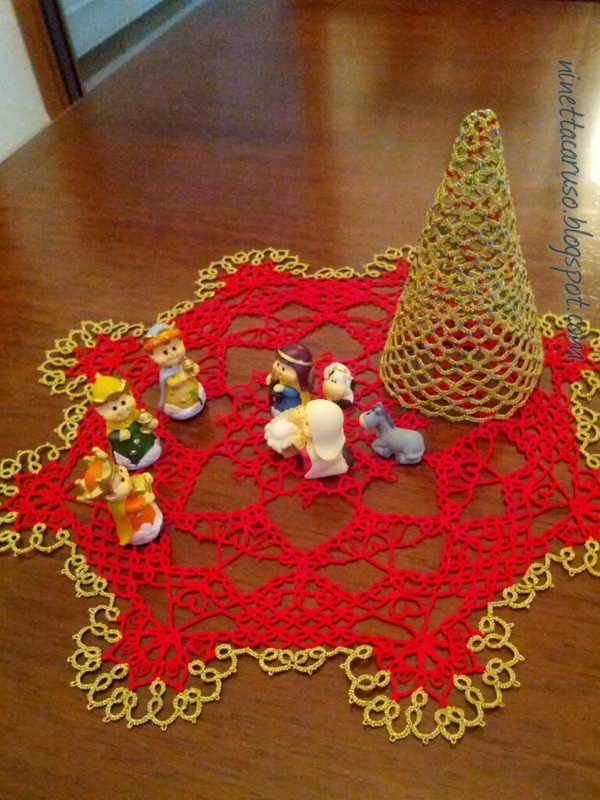 The tree, the doily and the figurines are all lovely. :) ty, nice comment! I used about 50 meters of thread, and the tree is about 12 cm high. Started with a ring, then only chains. Thank you! I tatted the doily during xmas 2012, while the little cone is new! Thank you, it comes from Italy!! I have drawn only 5 round, there's a pattern in flickr. Wish you a wonderful year too! Dear Ninetta, you continue to amaze ! 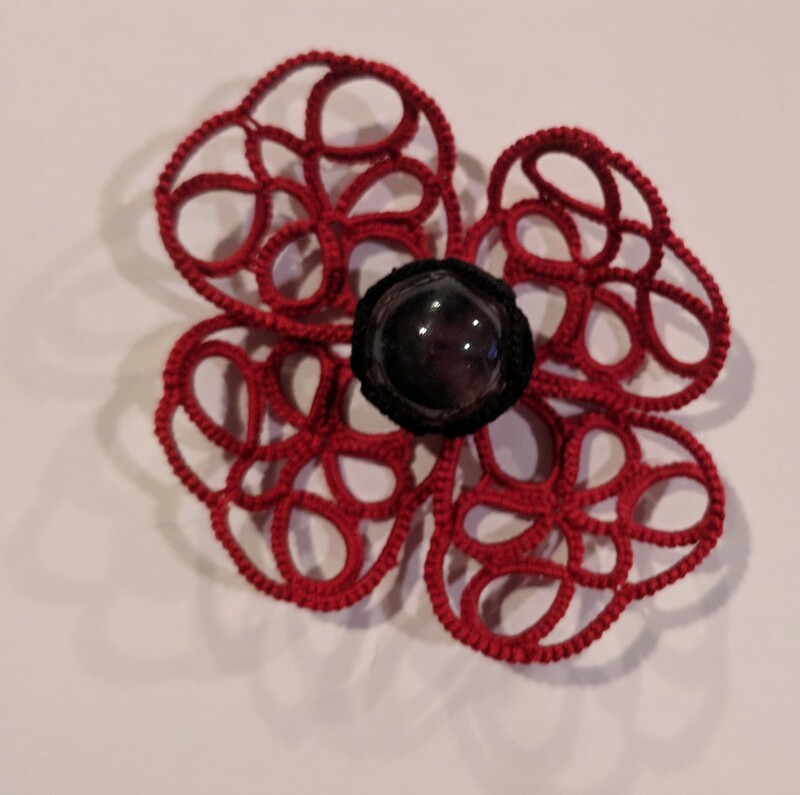 Your doily has so many interesting elements and shapes - a good piece to study & create. Thank you so much, we all need inspirations and fun so I wish you the same! Peace and light to you too. Wow, such beautiful work, the doily and the cone. I do like the idea of the cone and the beads must make it sparkle under light - magical. Thanks Jane, you're so nice! 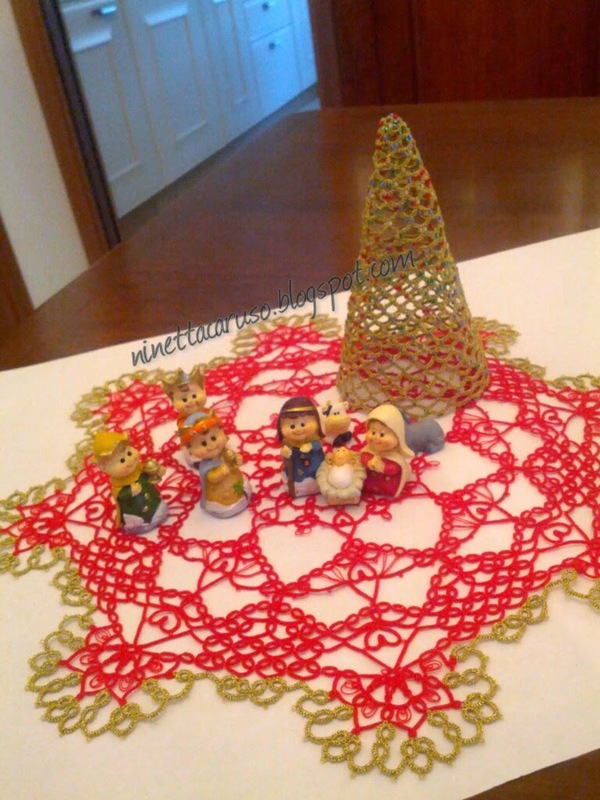 What a pretty doily, Ninetta! !love it with the little hearts!your x-mas tree is stunning!!! Thank you Tally! I learned my lesson (thanks to Sue of the tatting designer class) and now I have a notebook where I saved (pencilled) the stitch count! Wow, I can redo the tree! I'm less confident that I can retat the doily!!! Happy 2015 back!